Spider-Man: Far From Home DVD and Blu-ray release date not announced. Spider-Man and his friends, Ned, and MJ go on a much awaited European Vacation. Peter Parker plans to leave the path of heroism behind for a while, but it's quickly dragged into a new adventure. Nick Fury shows up and recruits Spider-Man to investigate the attacks of Elemental creatures across the continent. Their detective work leads to a confrontation with the villain Mysterio. Mysterio engages Spider-Man and Nick Fury using hair-raising illusions and effects that make them question their own senses. Spider-Man is forced to look inward before he is able to defeat Mysterio and complete his adventure far from home. 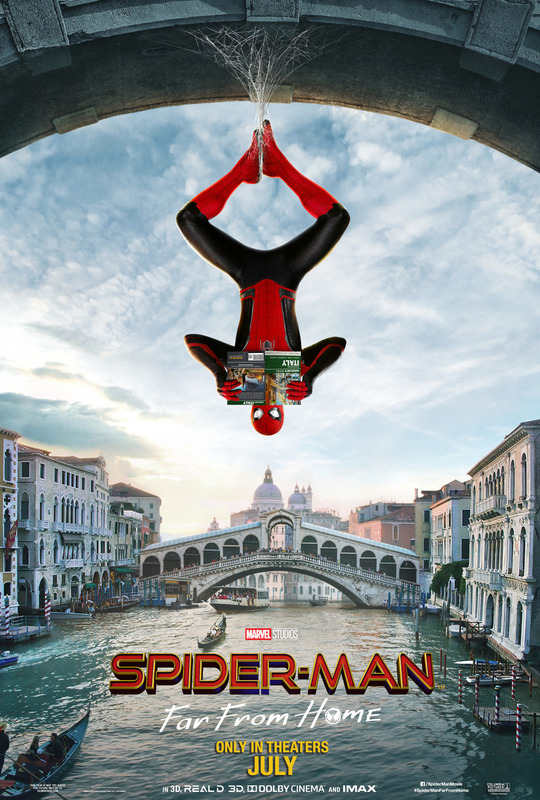 DVDs Release Dates is the best source to find out when does Spider-Man: Far From Home come out on DVD and Blu-ray. Dates do change so check back often as the release approaches.